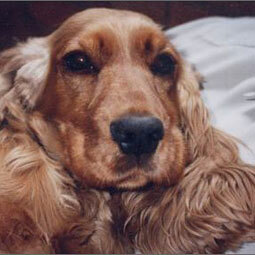 This page is dedicated to the dear dogs that John and Scott have lost: Penny, Lewis and Tiger. They often accompanied John to events and shows and even went on tour. The dogs were a familiar sight to fans, who were upset to hear of their deaths. John is a patron of Dogs Trust and, in memory of the dogs, fans donated over £1200 to the charity via his mailing list. Many people donate on a regular basis, either personally or through charity initiatives on John's official mailing list and discussion group. If you would like to find out more about Dogs Trust, please visit www.dogstrust.org.uk. Penny was John's first companion at the start of his career and was by his side for seventeen years. She appeared on Live and Kicking, Titans and many other TV shows. Everyone who met Penny loved her warm temperament. She had eight puppies, one of them Lewis, the runt of her second litter. Penny traveled across the Atlantic many times and accompanied Scott and John on six road trips across the USA. She lived in London, Florida, Hollywood and New York City. She even went on board the TARDIS. After seventeen years, she is still missed very much. 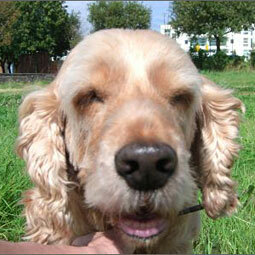 Tiger (also known as Teagan) was John and Scott's first Dogs Trust rescue. Unfortunately, only ten months after arriving in their household, Tiger fell ill and surgery uncovered tumours on his liver and spleen. John and Scott were forced to make a very hard decision and, to prevent any further suffering, they gave the vet permission to put Tiger to sleep. Tiger helped to raise money for Dogs Trust by appearing on stage with John during the pantomime , Jack and the Beanstalk. John and Scott called him their shining star and loved him like he'd been with them forever. That month, fans donated over £700 to Dogs Trust in Tiger's memory. Lewis died of haemangiosarcoma, a cancer that affects the blood. 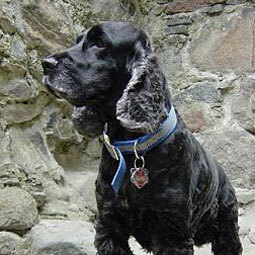 During the last few months of his illness, however, Lewis never stopped wagging his tail. He had many adventures across the USA and the UK and the thing he hated most was being left behind. He would sulk as soon as he saw the suitcases but was always sitting at the front window waiting patiently when his masters came home. He loved sitting on the sofa having his tummy scratched and getting cuddles and, like his mother Penny, he could smell chicken through a brick wall. Lewis was a wonderful companion and amazingly tolerant of the adopted dogs, however much they annoyed him with their rowdy or jealous behaviour. Even after he put them firmly in their place, they would still end up snuggled in the same basket together. He is sorely missed.